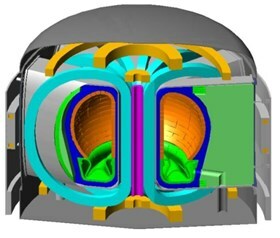 ITER represents a huge step towards the realization of fusion energy. But even once ITER has achieved the expected plasma performance, a lot remains to be done before we have electricity on our grid generated by fusion. Fusion researchers around the world are starting to seriously consider the next major step after ITER, known as DEMO, which should be a DEMOnstration power plant that produces electrical power and paves the way for the commercially viable fusion power stations that will follow. Many conceptual ideas for DEMO designs have been produced over the years but now that ITER construction is well under way, real proposals for DEMO are being planned. Unlike ITER, most work on DEMO has been done without much international collaboration although Europe and Japan are cooperating on DEMO design work as part of the "Broader Approach." But to promote more international sharing of work on the path towards DEMO, the International Atomic Energy Agency (IAEA) arranged a DEMO Programme Workshop that was held at the University of California, Los Angeles, on 15-19 October. Over 60 attendees came from fusion research institutes worldwide, including all the countries that are members of ITER. The workshop was organized around technical topics which are seen as major issues that must be addressed before DEMO can be realized: power extraction, tritium breeding, plasma exhaust, and magnetic configurations. There were also general talks presenting the status of programs towards DEMO in some of the countries represented. There are striking differences between the ideas for the plant in the views from different countries. Concepts include tokamaks of various sizes and with varying degrees of advancement from the technology and physics of ITER. Two participants from the ITER Organization, Neill Taylor and Scott Willms, attended the IAEA workshop at UCLA to pass on experience from the ITER project. But DEMO could also be a stellarator, or even a "hybrid" that combines fusion and fission in a single device. Some believe that an intermediate step, sometimes called a "Fusion Nuclear Science Facility" or "Component Test Facility," is needed between ITER and DEMO. Such installations would be used to develop and test systems such as breeding blankets, to supplement the work to be done using Test Blanket Systems in ITER. Others prefer to aim for a "near-term" DEMO that would begin by testing its own components. In all cases, significant materials development is needed, as DEMO will certainly need more advanced structural materials than those being used in ITER. According to some opinions, the planned IFMIF facility will only partly provided the materials tests needed. With so many diverse ideas, it is not surprising that international collaboration has been scarce. However the workshop did show that there are plenty of common areas in the R&D that needs to be performed, and IAEA will encourage collaboration over these.